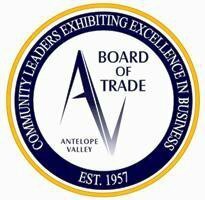 The mission of the Transportation Committee is to bring to the Antelope Valley Board of Trade Directors valid arguments which will be used to lobby for the improvement and expansion of the Antelope Valley’s transportation infrastructure in support of the 2020 Vision. The committee’s scope shall include issues pertaining to both commuter and freight transportation as they relate to highways, railways and airways. The end state of the Transportation Committee’s efforts will be to have presented valid arguments and sponsored legislation that will result in the strengthening, improvement and expansion of the air, rail and surface transportation network in the Antelope Valley. In order to reach the end state, the committee must maintain a current knowledge base of transportation activities, both ongoing and proposed, within the Antelope Valley. It must become knowledgeable of transportation activities outside the Antelope Valley and it must gain support for transportation improvements through education to civic agencies both inside and outside the Antelope Valley, activism in securing higher transportation funding levels and working towards reducing barriers which inhibit transportation services and development.